There are hundreds of guided walks around London, but the market leaders (and even then there are countless different options) are definitely the Jack the Ripper walks which stalk the East End telling the tale of some of London's most gruesome murders. Of course, much of the East End has since been altered by bombings and developments, but there's still a real sense, helped by good story tellers, that you're walking the streets which Jack himself walked. Anyone who thinks this is just for the tourists really should think again. Obviously there's a story to be told but this is almost just a means to an end. 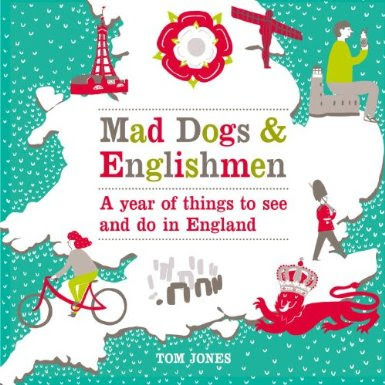 It's great for your London history to be based around a theme and thankfully mass murder is a good hook on which to hang a story, but the tours are also about how much of the East has changed from being London's hotspot of criminality to the trendy edge-of-the-City neighbourhoods which exist today. And the story of Jack the Ripper is a gripping one, which at the time kept London intrigued for many months, and has done for over a hundred years since. Whilst the story itself is gruesome, it really does help to realise what life was like for the criminals and prostitutes of 19th century London in a way which would probably be less compelling in ordinary story-telling. So why not give it a try. 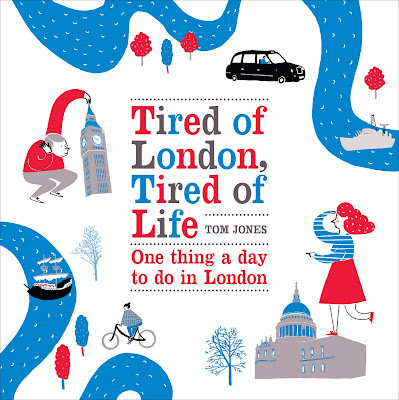 Your author went with London Walks which leaves every night at 7.30pm from Tower Hill tube, and costs of £7. No need to book and for more information visit http://www.walks.com. Other walks are available. Your walk may be at risk if you do not keep up repayments on your walk. Click here to see the start point on a map. Your author recently finished a weekly course at the School of Life in Bloomsbury. It was a thoroughly enjoyable experience and is very much recommended. The School of Life, on Marchmont Road, WC1, is a 'social enterprise offering good ideas for everyday living' and the six week course was on the subject of play and covered a wide range of topics and items about how to make the most of your spare time, including a group singing lesson by a professional songwriter and a talk on Guerilla Gardening by the South London author of On Guerilla Gardening, Richard Reynolds. The course is vaguely philosophical but is mostly based on group discussion and there is no need to do a huge amount of reading etc. to take part. 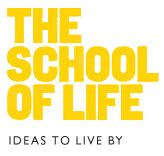 The School of Life runs a number of courses based around the themes of Love, Politics, Work, Play and Family. There are also a range of lectures, books, talks and even holidays on offer. In your author's humble opinion, The School of Life is a valuable addition to life in London and the Play Course is an excellent reflection of the School’s work. The subject matter was thought-provoking, whilst maintaining a sense of fun which is necessary to keep a group engaged on a weekday night. The next Play course starts on Tuesday 21st April and runs from 7pm - 9.30pm for six weeks until 26 May. The next course is led by the very intelligent Cathy Haynes. The six week course costs £195, or £145 if you sign up with a friend. For more information visit the website at http://www.theschooloflife.com. In Victoria, just a few minutes walk from Westminster Abbey, is Westminster Cathedral, the largest Roman Catholic church in England and the seat of the Catholic Archbishop of Westminster, Cormac Cardinal Murphy-O'Connor. Keeping watch over the Neo-Byzantine Cathedral is a 273 ft tower, which is dedicated to St Edward the Confessor. From a four-sided viewing gallery at the top there are views out across Central London, and you can access them by a lift which is open daily from 9.30am to 12.30pm and 1pm to 5pm April to November and 9am to 5pm December to March. For more information visit the website at http://www.westminstercathedral.org.uk/art/art_tower.html, or to learn more about the cathedral visit http://en.wikipedia.org/wiki/Westminster_Cathedral. Sat under a large arch in North West London, Wembley has been the home of football since the original stadium was built in 1923. The original stadium was, apparently, built in exactly 300 days and finished three days before the 1923 FA Cup final between Bolton Wanderers and West Ham United. Whilst that stadium cost £750,000 to build, the new Wembley Stadium cost £798 million and was delivered ten months late. It was due to open in May 2006 but the new stadium was not completed and handed over to the FA until 9 March 2007. Tours of the stadium are a little expensive at £15, and run daily from 10am - 4.30pm, except on major event days. The 90 minute tour, includes visits to the England changing rooms and the Royal Box. To book a tour, visit http://www.thestadiumtour.com/Home.aspx. 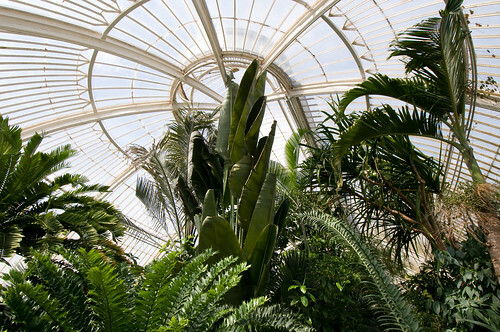 The Palm House was built in the 1840s and was a joint project between architect Decimus Burton and iron-maker Richard Turner. It is probably the most iconic building at Kew Gardens and was built to house exotic palms collected from all around the world. The house recreates the conditions of a tropical rainforest and allows visitors to climb up to the treetops and see the palms from above, whilst down in the darkened basement there is a marine display with live fish in tanks. Entry is a little steep at £13, but this does include the rest of Kew Gardens. The Palm House is open 9.30am to 5-5.30pm for more information visit the website at http://www.kew.org/visitor/. The Peter Harrison Planetarium, beside the Royal Observatory in Greenwich Park, is a a 120 seater 'digital laser planetarium' which opened in 2007. The Planetarium takes visitors on an audio-visual trip through time and space inside a £17.7m 45 tonne bronze clad cone, tilted at 51.5o to the horizontal (the latitude of Greenwich), and situated aptly on the prime meridian itself. All this for the sum of just £6, which can't be too bad. Current shows include Invaders of Mars, Sky Tonight Live and Star Life. For more information visit the website at http://www.nmm.ac.uk/visit/planetarium-shows/. The Parkland Walk is a four and a half mile walk in 'parkland' between Finsbury Park and Alexandra Palace. Also known as the Northern Heights, the walk passes through Islington and Haringey and is a designated nature reserve. The path was originally the line of the London and North Eastern Railway, and you can still see 'ghost' stations along the path. Following the closure of the original line, it was proposed to include it in a branch of the Northern Line but when the Second World War came along these plans fell by the wayside. Due to the linear nature of the former railway line, the walk is very long and thin with small patches of green space on either side of the path. 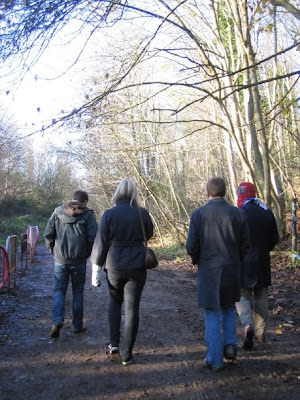 The Walk connects Finsbury Park, Stroud Green, Crouch Hill, Highgate, Muswell Hill and Alexandra Palace and even has its own 'Friends of the Parkland Walk' group, who have been dedicated to protection of the resource since 1988. From the Haringey Council Website, we learn that this is 'London’s longest Local Nature Reserve', which is a pretty weak claim to fame, but it is a fairly pleasant walk away from the road and the altitude sometimes even gives some good views. The walk is also a haven for plants and wildlife and along the route you might see oak, ash, birch, hawthorn, cherry, apple, holly, rowan, sycamore and yew trees, michaelmas daisies, golden rods, buddleia and guernsey fleabane, 22 species of butterfly, hedgehogs, slow-worms, foxes and even muntjac deer (though it is very unlikely you will see all of them). Click here to see the walk on a map. For more information visit the Parkland Walk website at http://www.parkland-walk.org.uk/. 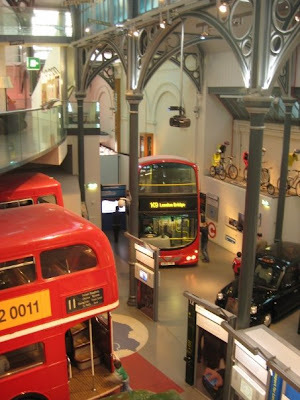 A reader writes to recommend the London Transport Museum's Lates programme. The Museum itself gives a great insight into the history of London's transport system from horse-drawn buses to the modern underground, but your author was largely ignorant of the Lates events until recently. Perhaps this can be put down to the lengthy refurbishment which closed the Museum from 2005-7. 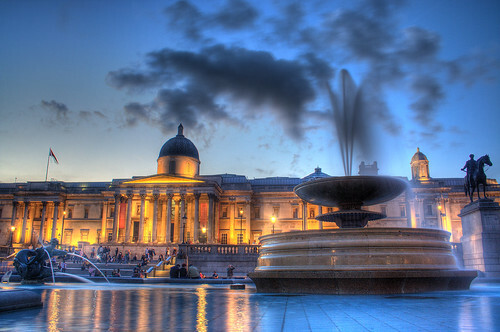 As with almost all Museums nowadays, the Lates take place on Friday nights. They are fairly regular and tickets cost £8, which is the usual entry fee. For this you get the run of most of the museum, as well as the chance of some live music, DJs, film and other events based around the evening's theme between 6.30pm and 9pm. To museum geeks like your author this sounds fun, and there is also a well stocked bar to help the evening go a bit smoother for those whose passion for transport is only fleeting. So why not head down to the website at http://www.ltmuseum.co.uk/whatson/126.aspx to see what is in store for the next one. Many thanks to David Singleton who passed on this idea. Much appreciated. If you have any ideas you think could be included here please do send them on. If nothing else, you will help save someone from the pains of writers block! There was a time during the early 40s when it looked like the game was up for Britain. The Nazis' crushing victories in the rest of Europe made them and others think it was only a matter of time before they took control of Great Britain as well. Thankfully, our great nation withstood the onslaught and fought back with everything we had, but this took time, and meanwhile Hitler and his henchmen were drawing up detailed plans for what they would do after they took control. Every crazy dictator needs a headquarters and, to draw a line under what had gone before, legend has it that Hitler decided that he would make Senate House in Bloomsbury his UK seat once battle was over. Senate House is the administrative centre of the University of London but during the Second World War it became the Ministry of Information and is thought by many to have been the inspiration for the Ministry of Truth buildings in George Orwell's novel Nineteen Eighty-Four. For more information on Senate House, visit the Wikipedia page at http://en.wikipedia.org/wiki/Senate_House_(University_of_London). Most who live in East London will probably be aware of this one, but for anyone else...Broadway Market is apparently one of London's oldest Chartered Markets (whatever this means) and is a Saturday Farmers Market market in Hackney with a wide range of stalls selling everything from vintage clothes to fruit and veg, and a wide range of things in between. 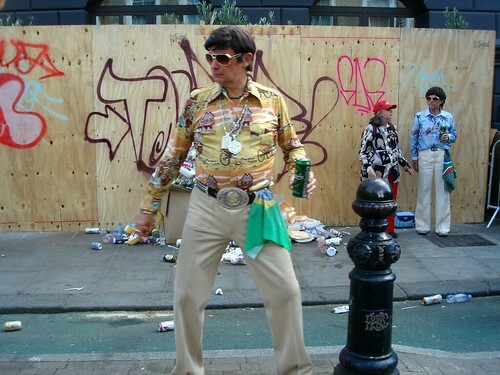 Following the decline of the old market, the Tenants & Residents Association (the BMTRA) joined forces with Hackney Borough Council to bring a Farmer's Market to the street in May 2004. Nowadays this is very much the theme, with added trendy Hackney locals and 'artists'. The market itself is improved by the presence of a range of excellent shops, pubs and cafes along the street and the London Fields park, at the North Eastern end is a lovely space to relax, take a swim in the heated lido or have a drink in the pub on the park (more about these in future items though). Broadway Market was once part of an ancient 'drovers' route' where livestock was driven on its way from Essex and the Epping Forest into London. London Fields was the last patch of grazing land before entering the city and heading for the meat markets of Smithfield. Nowadays it is a charming street which has a great atmosphere due to the presence of a range of small businesses like Nutritious Food Galley, the Broadway Bookshop and the Dove public house. 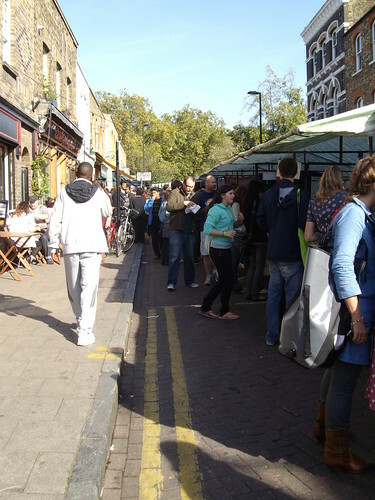 For more information on Broadway Market, visit the website at http://www.broadwaymarket.co.uk/, or just go down there yourself. Click here to see this post on a map. 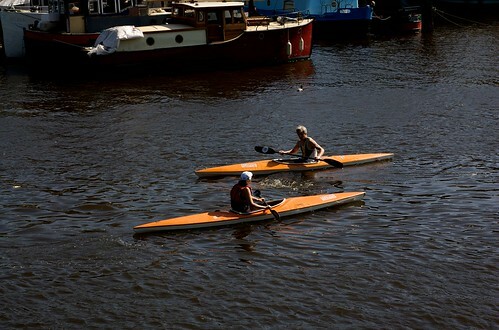 The Thames is a tidal river up as far as Teddington Lock, so the section which runs through the middle of town has a significant tidal range. As a result of this, when tides are low, a large area of 'beach' is opened up to be explored. The foreshore is littered with a range of ancient and modern litter, but the sort of litter that tells us something about the river's history, such as ballast cast off from ancient ships, wooden piles from long demolished piers and constructions, pieces of once jagged glass made smooth by the flowing of the river and a range of other things to be found. Down towards the Oxo Tower and the Southbank Centre there is even a patch of sand where you can often see sand sculptors creating pieces of art daily which will soon be washed away by the rising tides. This idea should be caveated with an assertion that this is only the sort of thing you should do if you have some understanding of tides, and know what the tide is doing at the time. Your author does not want to be held responsible for drownings. For tide times visit the Port of London authority website here. If you would prefer a more guided experience, London Walks runs occasional Beachcombing walks along the foreshore. For more information click here. 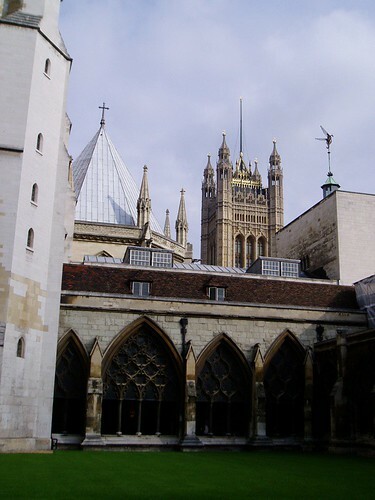 Unlike the rest of Westminster Abbey, which costs £12 to enter, the Cloisters and College Garden are free, and because access is via a different entrance they also avoid much of the crowds of tourists you find at the other side of the Abbey. Here, just a stone's throw from the Houses of Parliament, you could almost be in a quiet monastery in the countryside and the serenity makes it a very relaxing space, even for godless souls like your author. If you're not interested in paying the rather steep entrance fee for the rest of the Abbey, access to the Cloisters, and the College Garden which has been a site of continuous cultivation for more than 900 years, is via a small doorway in Dean’s Yard. From the courtyard at the front of the Abbey go through what looks like the gates to the Westminster School field, and then turn left and continue to corner of the yard (Dean's Yard) and go through the doorway. You should now be in the cloisters. Click here to see the location on a map, and an arrow which should hopefully clear up the rambling directions above. Certainly not worth a trip on its own, but an interesting piece of trivia, the UK's first McDonalds was opened in Woolwich in 1974, and is still going strong at 56/58 Powis Street, Woolwich, SE18 6LQ. When the store opened, a hamburger apparently cost 18p, the Big Mac was called the Big Boy and burgers were made to an almost identical formula to what you can now find in around 1,000 stores on every high street in Britain. A UK Head Office was promptly established at Hampstead and we followed world powers such as Japan, Australia, Panama and Guam into being a fast food society. If you are so inclined you can read more about the history of McDonalds at http://www.independent.co.uk/life-style/food-and-drink/features/eaten-with-relish-743695.html. Click here to view this post on a map. Postman's Park, in the City of London, is a small piece of green space formed from the former churchyards of surrounding churches which is not really noteworthy, except for its interesting memorial. The park is home to a memorial to heroic men and women of the Victorian age whose selfless courage is remembered in a series of Royal Doulton ceramic tiles which tell their stories. The memorial was the idea of Victorian painter and philanthropist George Watts, who was inspired by the heroism of the people commemorated and did not want it to be forgotten. The park's name comes from the nearby post office in King Edward Street. Postman's Park is just off Little Britain in the City, a short walk from St Paul's Cathedral and Tube Station. Click here to see the location on a map. For more information visit http://en.wikipedia.org/wiki/Postman's_Park. There is little need for lighthouses in London. There are no jagged rocks and the riverbank follows gentle curves. 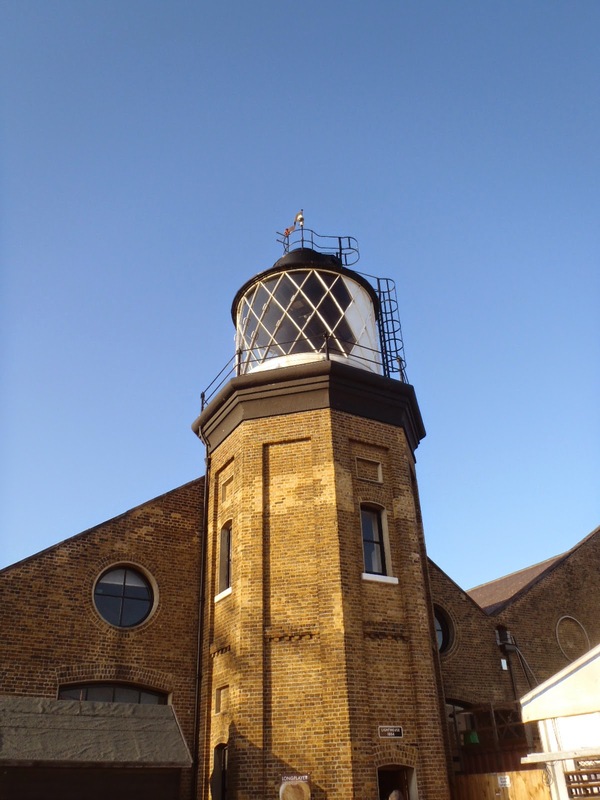 There is an exception, however, in the form of the Experimental Lighthouse at Trinity Buoy Wharf, built in 1864 in Docklands. The lighthouse was built to develop lighting techniques for Trinity House's lighthouses and lightships. Where previously there were two lighthouses, only one now remains. Its former partner (once used by Michael Faraday to develop some of the earliest electric lighthouse lighting) was demolshed in the 1920s. The remaining lighthouse is, rather oddly, now home to Longplayer, a 1,000 year long 'piece of music' based around recordings of singing bowls which began playing at midnight on the 31/12/1999, and is intended to play without repetition until the final second of 2999, when it will begin again (assuming that funding for pointless art projects hasn't been abolished by then). The Lighthouse and Longplayer are open on the first weekend of every month from 11am to 5pm (until 4pm from December - March) and entrance is free. For more information visit the Trinity Buoy Wharf website at http://www.trinitybuoywharf.com/the-experimental-lighthouse.html or the Longplayer website at http://longplayer.org/. The nearest DLR station is East India. Click here to view the location on a map. A long time favourite haunt of civil servants and those who work around Charing Cross/Covent Garden, Gordon's Wine Bar is an institution, and benefits from being one of the best pubs in the area. 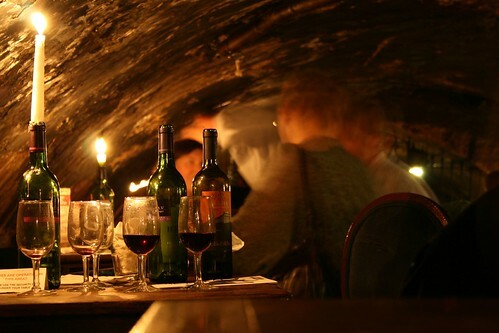 Established in 1890, Gordon's is certainly the oldest wine bar in London, and possibly the oldest in the world. 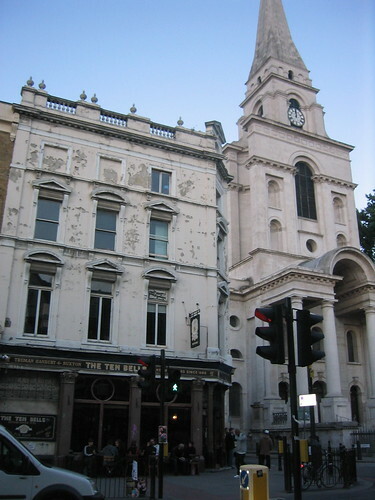 Now owned by Wendy Gordon, the wife of the late Luis Gordon, who was responsible for much of the bars current reputation, the bar was first set up by an Arthur Gordon in 1890, though the current Gordon family aren't related to him. The building in which Gordon's is situated was home to Samuel Pepys in the 1680s, and Rudyard Kipling in the 1890s, as a tenant in the parlour above the bar. As a whole the building used to be a riverside warehouse, but this ceased in 1864 when the embankment was built and the building was landlocked. The bar is reasonably hard to spot if you don't know it's there as it involves going through and anonymous looking door off Villiers Street, or down a side street, but once you're inside it is almost always packed out. One caution for the uninititated is that Gordon's only sells wines and fortified wines, so you should not expect beer or spirits on your visit. Both are, however, served in ample portions in a cellared atmosphere which is virtually unrivalled in this area of London, so this is something to be thankful for. 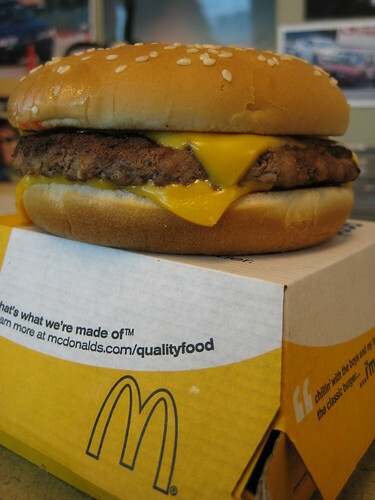 There is also the option of a range of cheese and meat-based food, should you work up a hunger. On Sundays there is also a substantial roast. All in all, Gordon's is unrivalled, and we are lucky to have it. Long may it survive, unchanged and unchallenged. The Gordon's website alone, at http://www.gordonswinebar.com/, is absolutely intriguing. Out at Brentford in West London, the Kew Bridge Steam Museum is home to the Waterworks Railway, London's only steam railway. The 2 ft gauge railway is operated by the Hampshire Narrow Gauge Railway Trust and you can ride a as a passenger for a full 400 yards around the museum site. The line runs a Hunslet "Wren" Quarry (corrected by author's train-geek father) class locomotive, a typical waterworks engine. If you also love stationary steam engines, you can also apparently see a world celebrated collection of Cornish beam engines including the largest working beam engine in the World. Extreme! The railway operates every Sunday from April to October and on other special days. Tickets for the museum are £9.50 and last for a year so you can go again as many times as you want within twelve months (once). For more information, visit the Kew Bridge Steam Museum website at http://www.kbsm.org/exhibits/railway. Picture from Wikipedia under Wikimedia Commons. The Princess Louise, a short walk from Holborn Tube Station is a Grade II building and is owned by the Samuel Smiths brewery of Tadcaster in Yorkshire. The pub was built in 1872 and is named after Queen Victoria's fourth daughter, Princess Louise. The pub has a fantastic interior dating from the 19th Century with tiling by W.B. Simpson, a celebrated tile decorating company formed in the late 1840s at Clapham, and still in existence today in Surrey. 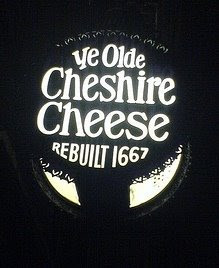 Nowadays, it is entirely owned by the Samuel Smith Brewery of Tadcaster in Yorkshire and, like all Sam Smiths pubs, only stocks drinks made by or for the brewery, which carry their labeling. It's also very cheap with a pint of Old Brewery Bitter still costing less than £2 at the last check. The Princess Louise was recently refurbished and booths were installed around the bar. However, all the work was done by skilled craftsmen to original plans and consequently the pub retained its listing in the Campaign for Real Ale's national inventory of historic pub interiors. And if you like the Sam Smiths experience you can try an estimated 40 others in London, but you'll have to find them yourself as the brewery is publicity-shy and doesn't have a website. For more information on the pub, visit its page on the fancyapint website at http://www.fancyapint.com/pubs/pub482.html. 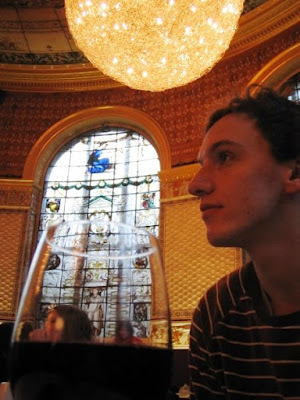 The Morris, Gamble and Poynter Refreshment Rooms are the V&A's original refreshment rooms, and when they opened in 1857 they formed the the first and only museum restaurant in the world. Decorated in a lavish arts and crafts style they now house the museum's cafe and serve a range of hot food, salads, sandwiches and cakes, alongside hot, cold and alcoholic drinks. Sure, it's getting a bit of a habit for tiredoflondon to carry museum bars rather than exhibits, but this one is definitely worthy of inclusion. On weekends there is often a live pianist to entertain you in a room where people have come to refresh themselves from the trials of museum visitation for over 150 years. The cafe is open from 10am-9pm on Fridays and 10am-5.15pm all other days. For more information visit the website at http://www.vam.ac.uk/your_visit/eating/. Click here to view the post on a map. In Elizabethan times on Curtain Road in Shoreditch the second permanent theatre ever built in England (and the first successful one) was erected by actor-manager James Burbage. It was at The Theatre that many of William Shakespeare's plays were premiered, as he was employed as actor and playwright by the management on his first job since moving down from Stratford. Nowadays, much of the original site is rather unceremoniously occupied by a Foxton's, but behind that some of the area has been excavated and exposed to the air for the first time in generations. In August last year, the Museum of London announced that they had found some foundations which they believed to be the remains of one corner of The Theatre. As you can see from the video linked to above, the excavations are nearing completion and the Tower Theatre group now intends to develop a new theatre on the site. Sadly, the site is not accessible at the moment but there is a plaque on the wall in Curtain Road to show where it is. For more information on the project, visit the Tower Theatre Group website at www.towertheatre.org.uk. Britain's most sweary chef currently has three pubs in London, The Narrow in Limehouse, The Devonshire in Chiswick and The Warrington in Maida Vale, and you can be pretty sure that they keep their menus simple and use fresh ingredients. All three have a sensibly priced menu and all three tend to have availability, although you should make a reservation before making the journey. 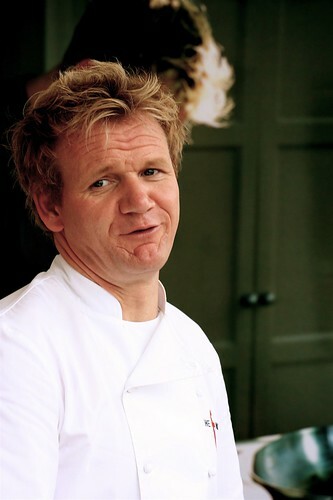 Gordon Ramsay's company, Gordon Ramsay Holdings purchased the three pubs in late 2006 and The Narrow opened in March 2007, the Devonshire followed in October and The Warrington, opened in February 2008. If you think that all this sounds like your cup of tea, then you should probably get booking as Ramsay's widely publicised financial difficulties could mean their days are numbered. For more information visit the website at http://www.gordonramsay.com/pubs/. Map links: The Narrow, The Devonshire , The Warrington. Whilst the original Routemaster buses have been withdrawn from service pending a new design, there are still two routes where the old style buses are allowed to run. Heritage routes 9 and 15 operate every day between Royal Albert Hall to Tower Hill via the Strand, running every 15 minutes for the same price as a normal bus fare. For those who have forgotten, you simply hop on at the back and then wait for the conductor to come and collect your fare, either in cash or by Oyster. There isn't a great deal of information on the tfl website, but it's only a bus, so how much information do you need? There are timetables on the website though, just search for route 9 or 15. At 19 Princelet Street, just off Brick Lane, on one of the prettiest streets in London, is a beautiful house with a rich history which it is hoped one day will become London's first Museum of Immigration and Settlement. Built in 1719, the house soon became home to a family of Huguenot silk weavers, who were fleeing religious persecution in France, the building was subsequently home to Irish immigrants and later became a synagogue in 1869. It was here that the Jewish families of East London, who had arrived fleeing the pogroms in Eastern Europe, came to worship. Nowadays, of course, it is the Bangladeshi community who live and work in the area, and the Georgian houses in the surrounding streets are also home to artists like Gilbert and George, and Tracey Emin. The plans to convert the house into a museum of London's immigration are, however, severely lacking in funds and need £3m in funding to even do the necessary work to repair it. That said, however, the building is an absolute gem and is now owned by the Spitalfields Centre Charity, but due to it's fragility is only open to the public for a few days each year, including the annual London Open House weekend in September. The house is a short walk from Liverpool Street. 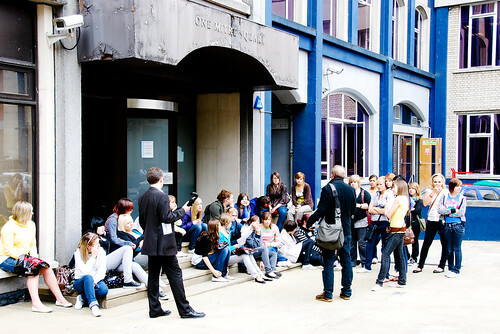 For more information on the building, and when it is open, visit the website at http://www.19princeletstreet.org.uk/. Today marks the start of the East Festival, a six-day festival aiming to celebrate arts and creativity in East London. If you've been to East London recently you may have noticed the green t-shirted East Ambassadors handing out guides to the festival, which has the added benefit of a DIY London insert with maps and guides of things to do in East London any time of the year. In your authors opinion, last year's East Festival was disappointing at best, but that may have something to do with the lack of sitting in the park in the sunshine at this time of year, and this time there certainly seems to be a great deal on offer, including art, film, performance, food, history and fashion so hopefully there should be something to take your fancy. If you're interested in seeing what's on, why not have a look at the rather un-user-friendly page on the Visit London website, or the guide itself. 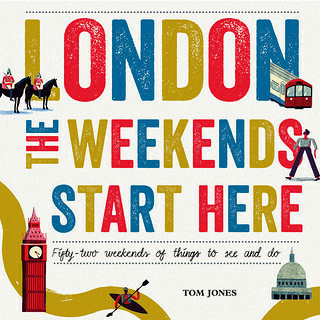 Your author will be helping out at the Swishing London event on Saturday. Admittedly, those who work in Central London will probably be aware of this one already, but the National Gallery runs a weekly programme of late openings with live classical music in amongst the paintings themselves. It's worth reminding people of this, however, as annoyingly in your author's considered view the Gallery took the decision in February to fall in line with almost every other cultural establishment in town and move late openings to Fridays (when previously they were on Wednesdays). Whilst this deals a blow to after-work culture midweek, it is probably a sensible move. Concerts feature artists from the Royal College of Music, and are funded thanks to generous support of the family of the late Canadian cultural fundraiser Belle Shenkman. The Concerts take place in Room 18 of the gallery from 6-7pm on Friday nights. For more information visit the National Gallery Website. 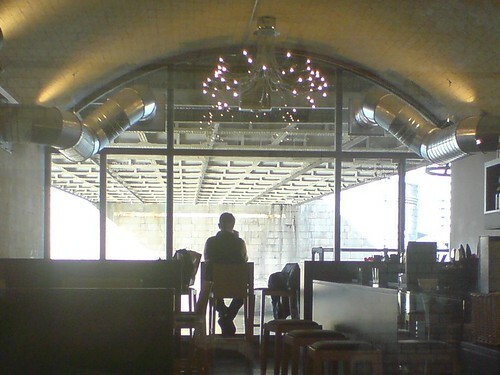 In an arch right underneath Tower Bridge, with a view outwards directly onto the South Side of the river, is the Most Cafe Bar. The bar has occupied its current space, known as the 'Horrace Jones Vault', for a few years now but it was originally used as the coal store for the bridge's steam engine rooms, and the coal was loaded into the store directly from the river beneath the bridge where the window now looks out. When the bridge was converted from steam to electricity in 1976 the vault was converted into the garage for the "bridge master" and subsequently a gift shop, which closed in 2001.